"CHEAP, EASY & FAST Highly Recommended!" "This is a great online course. Will definitely use again if I have to and recommend to family and friends." 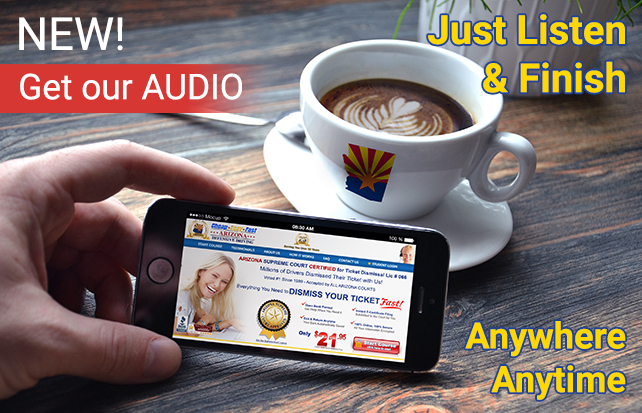 Approved Arizona Defensive Driving Course Provider. Same day processing and secure site that saves your progress as you go. Complete the course in just a few hours, easy!. You have not attended a Defensive Driving course for an eligible traffic citation issued within the past 12 months. Your eligibility to attend a Defensive Driving Course is based on the date of your current violation not on the date you last attended a Defensive Driving Course. If you hold a commercial driver's license you are not eligible for the Defensive Driving Diversion program, regardless of whether or not you were driving commercially at the time of the violation. In addition, those driving a commercial vehicle requiring a commercial driver's license are also not eligible. The only exceptions to this rule are: 1.) if the violation occurred before the driver held CDL status or 2.) if the violation occurred after the driver surrendered his or her CDL status. For further information, view A.R.S. 28-3392. You must complete your course no later than 7 days prior to your court date. You can exit or enter the online course any time as often as you like. Your progress is automatically saved for you. This also allows you to take breaks whenever you want. You may take as long as you would like to complete our defensive driving course. Your Defensive Driving Certificate of Completion will be submitted electronically to the court for you. Upon completion of the course you will get a receipt with all your payment and course information. Our entire website is protected with the most Secure Server Technology which encrypts all your information ensuring that you can take our course with the confidence that your personal information is being protected at all times. All Approved Arizona Defensive Driving Schools are required to collect the Court Diversion Fee & State Surcharge, State Fee before the start of the course along with sending us your court documents/citation and drivers license scanned or faxed. The Court Diversion Fee, State Surcharge $45.00, State Fee $24.00, and processing fee $9.95. The cost varies by court, Click Here to find the price. For more information you can visit www.azdrive.com or call the toll free phone number: (888) 334-5565. Once you start the course, due to Arizona law State fees and sometimes court fees cannot be refunded. Our refund policies have been reviewed by the Arizona Defensive Driving Board, please review them here. Full Support by phone (800)-571-4119 or email support@cheapeasyfastarizona.com. Our Defensive Driving Specialists are ready to help. Please call us any time to answer all your questions about your traffic ticket or defensive driving. 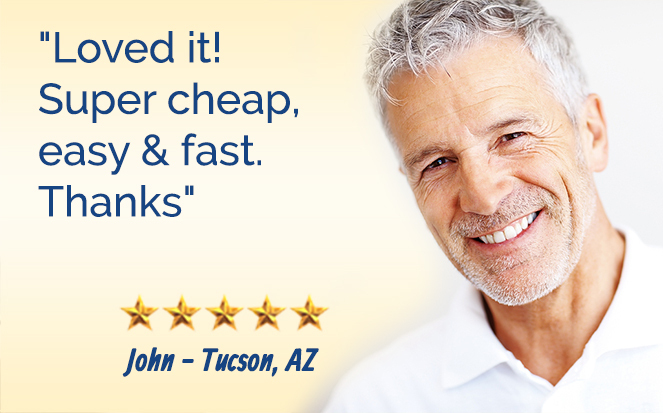 © 2016 Cheap - Easy - Fast Arizona Defensive Driving - All Rights Reserved.